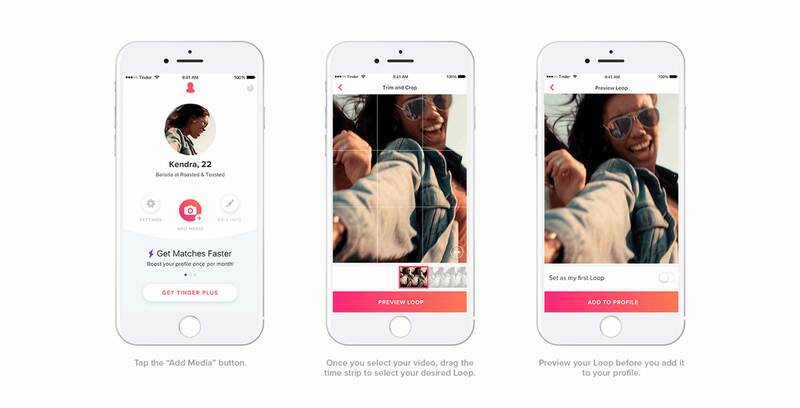 Dating app Tinder is stating to roll out a video feature called Loops. Tinder has been testing Loops with select users in Canada and Sweden since April. Today the feature is rolling out to the rest of the world. Loops are short two-second clips that play in a loop and can be posted to a user’s profile instead of a regular picture. To add a Loop to your profile users need to upload a video or a Live Photo from their camera roll. To make room from Loops Tinder has bumped up the amount of pictures a user can have from six to nine. According to TechCrunch Tinder users who add a loop to their profile saw their average conversation length increase 20 percent.